Kashmir is known for its regular magnificence as well as various different things moreover.The stretches of white water rafting Pahalgam and are of introductory to moderate difficulty but the stretch of white Water Rafting Pahalgam is bit-technically difficult at a few rapids of grade IV rapids. But nothing to worry about much as our professionally trained guides will take good care of you. The rafting trip start at Langanbal Bridge and finishes at Ganeshpora a distance of 8 km will be reached in half an hour. Even the ride is short but it is a lot of joy for all ages from 12 years onward. With the multifaceted system of mountain waterways moving through a horde of diverse shades of rough canyons, woods, blooms and high mountain towns, the Lidder River Pahalgam give perfect areas to the ideal water experience. 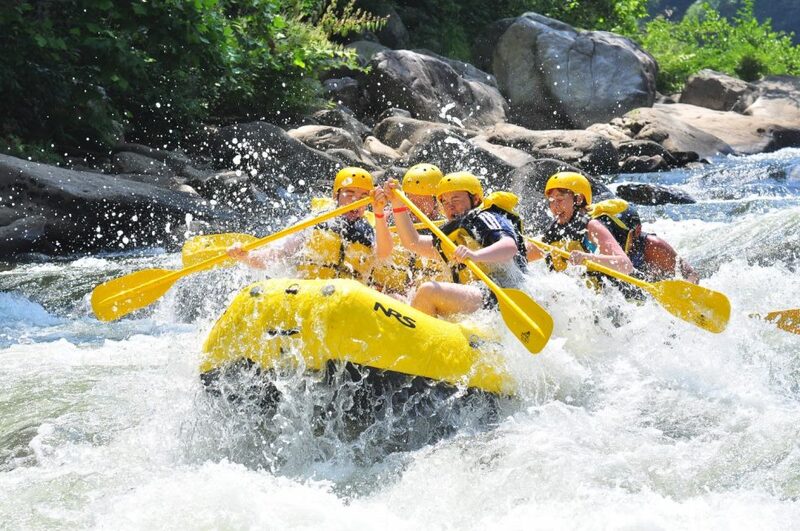 The game of white water stream rafting brings for a triumph over the quick whirling waterway as it spouts past fabulous mountains. It is rehearsed for the most part in the upper spans where the water is wild and white as it foams and froths, slamming against slender canyons, rough outcrops and falls at profound slopes.White Water Rafting Pahalgam Kashmir can be a part of your any tour program with us or you can do it as a separate option even if you are travelling on your own.The stretch for 2.5 km white water rafting Pahalgam , 5 km White Water Rafting Pahalgam and 8 km White Water Rafting Pahalgam (extra long ride ) with grade II to III and IV rapids on Lidder River which flows from Pahalgam is located at Varganpal bridge ,and langanbal Bridge, 12 km and 3 Km from Pahalgam and 72 km and 88 km from Srinagar respectively.The lidder river originates from Mt Kolahoi glacier and Shehnag lake etc. flows from North West to south east as a great delight through Pahalgam into river Jhelum, one of the five rivers of Punjab which join ultimately Indus.